Jamie Whincup took his second victory of the Supercars season in the opening race of the Tyrepower Tasmania SuperSprint, as Craig Lowndes broke a year-long podium drought. Following overall victory at Albert Park, Whincup made the most of a tough race for polesitting team-mate Shane van Gisbergen to continue his move up the points standings. 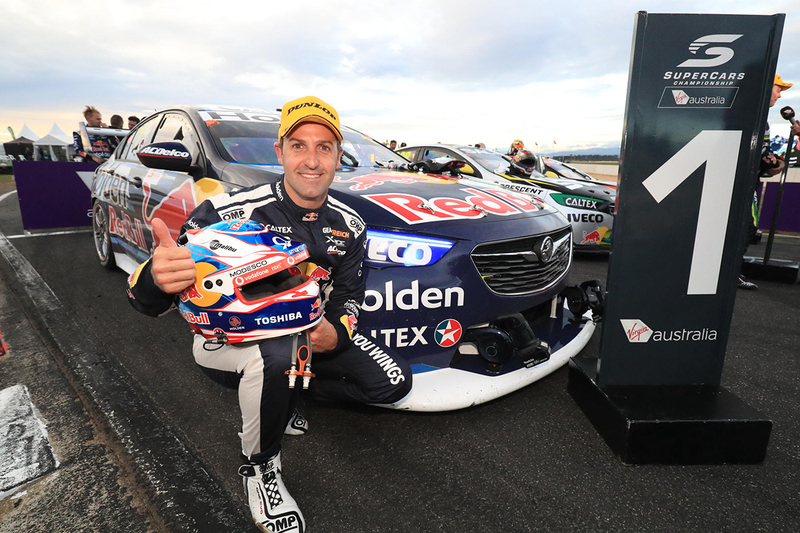 Whincup took the flag 2.3 seconds clear of Lowndes, who continued his strong form from practice and qualifying to take his best race result since Sydney Motorsport Park in August 2016. James Courtney, David Reynolds, Fabian Coulthard and van Gisbergen completed the top six in a 120km race that ran without a Safety Car. “The crew gave me an absolute rocket today,” smiled Whincup, who moves up to third in the championship behind van Gisbergen and Reynolds. 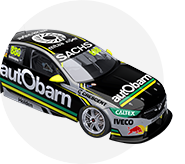 Van Gisbergen had made the most of pole to lead Whincup and Lowndes on the opening lap – the Autobarn entry enjoying the best getaway before being boxed in by his team-mates. Despite having clear air, van Gisbergen kicked off the pitstops on lap five, diving in for three tyres and a splash of fuel. Whincup and Lowndes waited another six laps before pitting together, the former also taking three tyres and fuel, and the latter opting to go through without a splash. 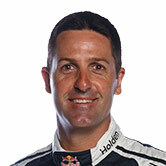 Seven-time champion Whincup returned to the track two seconds clear of van Gisbergen, who was left to battle Lowndes. Van Gisbergen continued in a net second until lap 26, when Lowndes made a decisive move at Turn 6 before beginning to pull away. Courtney, Reynolds and Coulthard also overtook van Gisbergen as the polesitter struggled with higher-than-expected tyre degradation. Van Gisbergen eventually held on for sixth, taking the flag ahead of Tim Slade, Scott Pye, Scott McLaughlin and Jack Le Brocq. Pye overtook McLaughlin and Le Brocq in the final three laps as he recovered from a slow pitstop caused by a clutch problem. 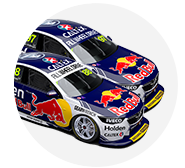 McLaughlin had started third and pitted early, just three laps after van Gisbergen, emerging from his stop side-by-side with the Red Bull entry. The two cars made minor contact on the run to Turn 4 before van Gisbergen won out, while Lowndes then settled in between the pair following his stop. McLaughlin remained the best of the non-Triple Eight cars before an electrical sensor failed, robbing him of straightline speed. Tenth for Tekno Autosport driver Le Brocq marked the best result of his rookie season to date, underlining the strength of the Triple Eight package. 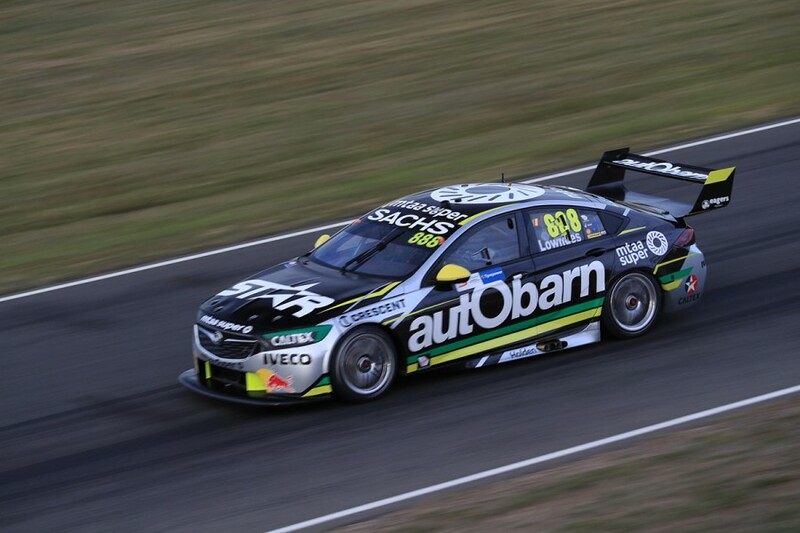 Further back, Tickford Racing’s difficult weekend continued, with Mark Winterbottom its top driver in 14th. Chaz Mostert failed to finish after early contact with Rick Kelly damaged the left-rear of his Ford. When Mostert made his pitstop, the new left-rear wheel failed to go on properly, while a fire also started – requiring the driver to vacate the car. Kelly had also been involved in an early skirmish with Cameron Waters’ Tickford Falcon, side-to-side contact at Turn 2 sending the latter through the gravel. Waters rejoined and finished 20th, with the incident to be investigated by officials post-race. Completing Tickford’s misery, Richie Stanaway required an early trip to the garage to attend to damage, returning to finish 25th.